Optimize images is one of the Google PageSpeed rule. JPEG and PNG files are most commonly used image format around the web. 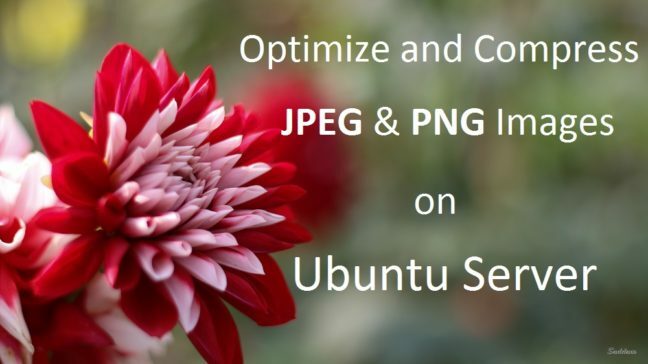 Compressed JPEG or PNG files has lower size than the original without loosing quality and helps speeding up your site. There are plenty different way to optimize and compress JPEG and PNG files for web. Some of the CMS has plugin to do the job. But, plugins takes time to compress all your files and slows down your site if you are using more plugins. There is an easy way to do this if you are using a Linux VPS or dedicated server and have a lot of images to optimize and compress. Follow the tutorial to know now and bookmark for future reference.